The new Chief Product Officer will strengthen and accelerate product development and business-wide strategy implementation. Vatsana Technologies (the parent company of WittyFeed) has announced today the appointment of Harsh Mani Tripathi as Chief Product and Strategy Officer to strengthen and accelerate product development and business-wide strategy implementation. Harsh is also a serial entrepreneur and an angel investor. Harsh’s last venture, Delhi-based SaaS platform Pyoopil Education Technologies, was acquired by Ronnie Screwvala’s leading ed-tech company UpGrad. 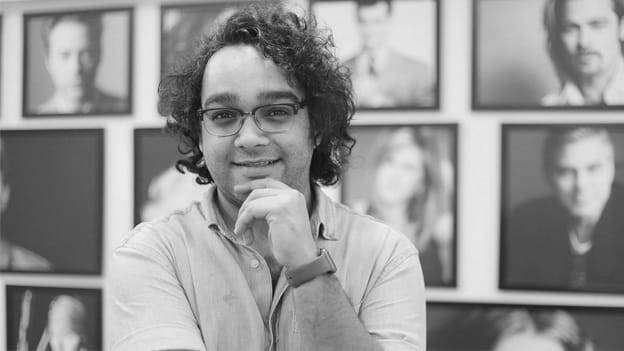 Post the acquisition, Harsh spent a good 2 years across various leadership positions at UpGrad, driving product verticals and leading multiple cross-functional teams. On this new journey, Harsh’s focus will be on creating and leading company’s product offerings as well as business strategies, in the endeavor to evolve Vatsana Technologies’ from a new age media company to a media-tech industry leader. His key responsibilities would include driving Vatsana’s product vision as well as cutting across the organization through the creation and implementation of business strategies for serving Vatsana’s Billion plus consumers globally. He would also ensure that the entire organization is led by a unified and cohesive vision. “I’m thrilled to be joining Vatsana Technologies at this very interesting juncture to further explore the amalgamation of new-age media with the next billion Indian users coming online. Vatsana has been a global company since its inception, we are proud flag bearers of being a company for Bharat, from Bharat, having a strong global footprint. The areas that we are going to tread next, through OneFeed, are some of the most exciting opportunities in the media-tech space. Figuring out a robust content distribution engine for publishers across the globe and solving the largely unsolved problem of content match-making are going to drive some of the most influential engines in the media-tech space. I am enthusiastically looking forward to leading the organization with a strong focus on our global and Indic audience, by strategically leveraging technology and unleashing a new era in content distribution and matching. Without an iota of doubt, I can assert that Vatsana is on the right launch pad for evolving into the only global media tech giant from India, ” said, Harsh Mani Tripathi on his appointment as the Chief Product and Strategy Officer. Harsh is an electrical and electronics engineer by training, he was also awarded the prestigious ‘Young India Fellowship’ by IFRE and University of Pennsylvania. He started his entrepreneurial journey back in 2010 as the Co-founder of Vilikh technologies Pvt. Ltd. Vilikh Technologies operated in the fields of Robotics and embedded systems.